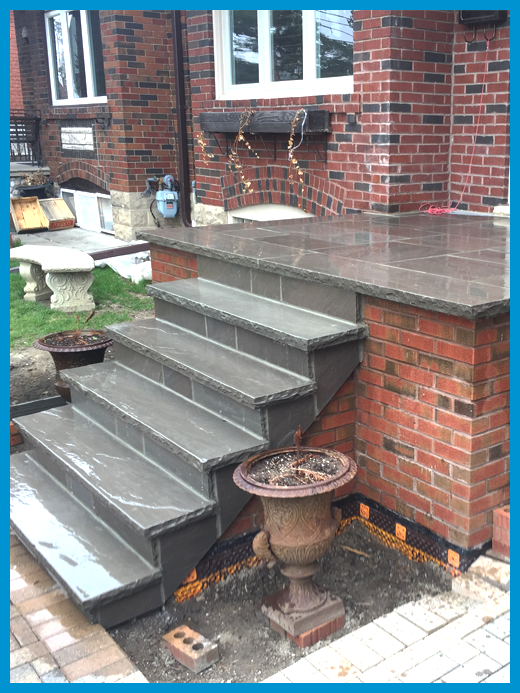 AVENUE ROAD MASONRY is a professional Toronto brick mason that has a reputation for having exceptional quality workmanship. We service all of your masonry needs from concrete and brick stairways, walkways, fireplaces, garage floors, to brick replacements, repairs, and chimneys. AVENUE ROAD MASONRY cares for every project with attention to detail. We do things the right way and on time. We are a fully registered company, and have liability insurance. Our masonry and brickwork experts are professionals. Contact AVENUE ROAD MASONRY today; and they will be pleased to answer your questions, and share their knowledge and expertise. 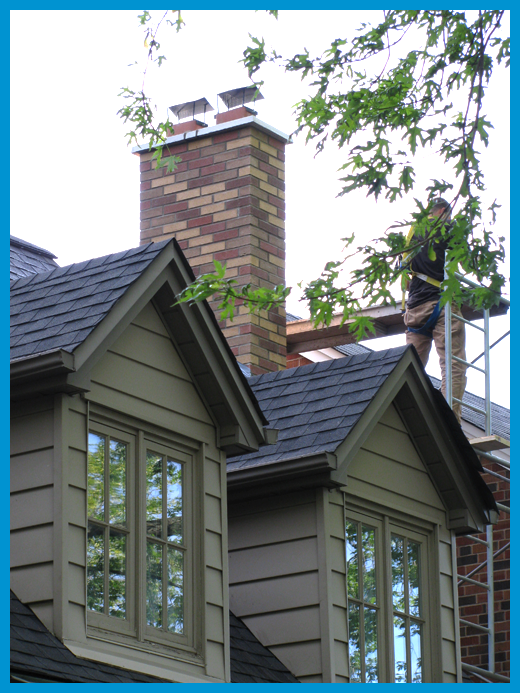 When performing roof installation; often it would become evident that our customers would require repair work to their chimneys, masonry parapet walls surrounding flat roofs, or visible brick and mortar deterioration on exterior wall surfaces. On some occasions, leaks which resulted from these deteriorated areas; would be thought to be a result of roof related or flashing related failure. Upon investigating such concerns, our technicians would conclude and often demonstrate that water ingress was a direct result of these associated areas, and not roof related whatsoever. Invariably customers would ask us for a solid recommendation for a mason or masonry company, who could handle such work, and in many instances; be able to coordinate with our schedules for roof installation. We would typically direct our customers to a few select masonry contractors for whom we could rely on to provide competent service for the benefit of our clients. This is how we dealt with such situations in our early years. Over time; we developed relationships with masonry contractors who wanted to leverage our good reputation and offered to provide service through our company. This model was a progression in that ARR could reduce wait times for such work; effectively allowing us to get our roofing services delivered. “Two things resulted from those experiences”, recalls Tony Pateropoulos (President) of ARR; “One thing I realized is that our customers trusted us, and looked to us to solve their problems with regard to various other exterior services”. “The second thing that came to mind is that we needed to create a solution so that our customers had a one-shop opportunity, to get their exterior building envelope needs handled with on simple phone call or an e-mail”. “The advantage of our clients being able to have single source responsibility, and avoid the hassle of coordinating trades, and have the ability to finance their exterior projects under one roof; was an opportunity for our company” Pateropoulos adds. The key was to have the right personnel, and be able to control quality standards, and have prediction with respect to scheduling and coordinating multi-trades.” The solution came at the end of my dinner table, literally.” Tony noted. Further discussions and piloting of the activity in 2012; lead to the creation of AVENUE ROAD MASONRY. Now an established, divisional company within the AVENUE ROAD ROOFING Group; customers can depend on the same level of professionalism and competency , for various masonry and foundation water-proofing services; as they have come to know from roofing and related services since 1974. If you want to know more about our Toronto brick mason company, please call AVENUE ROAD MASONRY at 416-785-5129 or fill out our online request form.